← Pat Lee’s (Transformers, DC, and Marvel comics fame) The Extraterrestrial Compendium available for pre-order on amazon! Finally, Apple II and IIgs Warez On Your iPad, FTA’s Active GS, & Real IIgs laptop!! Ohh man, I do realize how FEW of you are going to share my sentiments and joy. But whatever… this is golden stuff me. Some of my friends might not realize I was, and still am a pretty big nerd. Well let me tell you a little bit more about the Apple IIgs and myself. My dad took my brother and I to Computerland in Oakland and we ended up choosing the Apple IIgs. 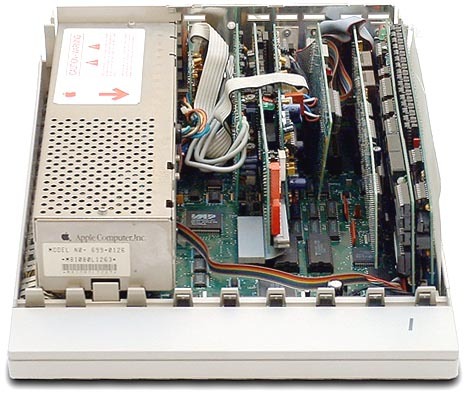 The Macintosh was still very new then, was very expensive and had relatively few software titles. 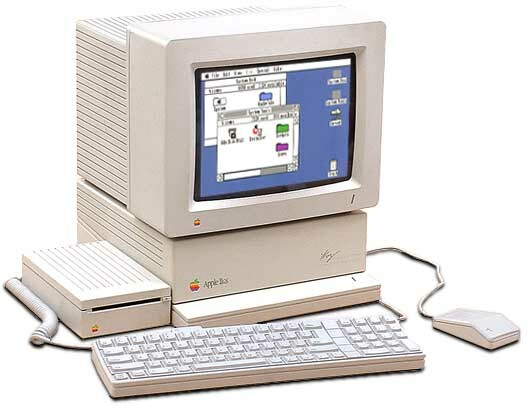 I think our Apple IIgs, Apple IIgs RGB Monitor, with Apple ImageWriter II printer costed $2500 (or maybe more) then. Apple IIgs was fairly new on the market and it was the latest and the greatest Apple II series EVER! In 1988 the support for the Apple II’s was still very strong! I was still in high school so naturally the Apple IIgs was the logical choice because it was fully backwards compatible with all the previous Apple II software. Apple totally dominated the K-12 education scene in the 1980’s and was still the education software leader in the early 1990’s. Apple really screwed up their dominance in the education market when they decided to abandon the Apple II development in the 1990’s. The Apple IIgs had a burst speed of whopping 2.8 MHz!! It had 256 KBytes of main memory. I remember the cost was like $700 just to add 768 KBytes of memory and make entire memory in to 1.25 MBytes. My first hard drive was 40 MBytes and that was also about $600 in 1989 or so. I was a regular participant on comp.sys.apple2 and contributed often. I also wrote the Floptical FAQ. My Apple IIgs served me extremely well over the years. It did everything I needed it to do. I still used mine daily until around 1998. It lasted me 10 years! If you were once an Apple IIgs user, you’ve got to know FTA Free Tools Association and all their awesome assembly language written and toolbox free demos!! they are alive and well. Check out FTA’s latest and current effort – Active GS the Apple IIgs emulator!! 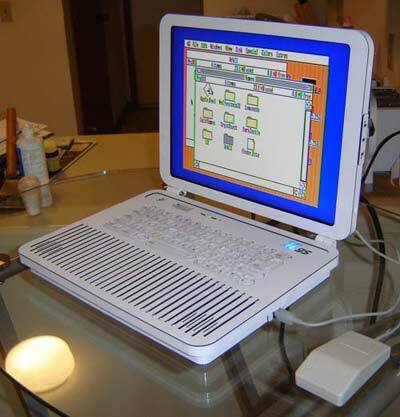 So I was feeling nostalgic and goggled for some Apple IIgs stuff and stumbled upon this creation – the Apple IIgs laptop, built using the original iigs motherboard! wow! This entry was posted in Life/Musings, OMG WTF BBQ crazy stuff O_O, Retrospective, Technology/Modern Marvels and tagged Apple, Apple II, Apple II series, Apple IIGS, Emulators, IPad, Macintosh. Bookmark the permalink.